If you've visited our office, you may have noticed the toy shelves on the wall outside of the main conference room. 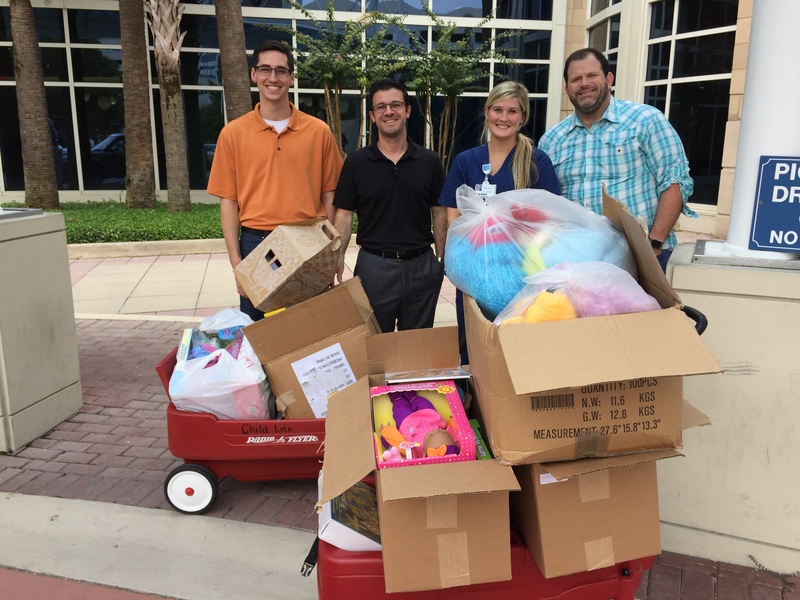 For several years, we have collected toys to deliver to Wolfson Children's Hospital. This is a great way to brighten up a child's day and it's such a blessing to be able to give to this great cause.